The nomination process for this year’s Al Sieff award has now been completed. The winner will be announced at IPPW 2019! 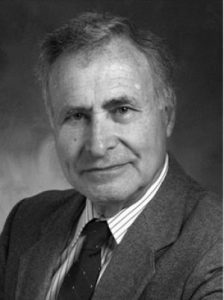 The Alvin Seiff Memorial Award, presented annually at the International Planetary Probe Workshop, recognizes and honors a scientist, engineer, technologist, or mission planner for outstanding career contributions to the understanding of solar system atmospheres and/or planetary atmospheric flight utilizing probes and/or entry, descent and landed systems, and mentorship of the next generation of solar system explorers. Alvin Seiff’s contributions to the fields of planetary exploration and planetary probe technology, as well as his mentorship of a generation of world-class planetary scientists and technologists, are legendary. His leadership using ballistic ranges and innovative engineering analysis played a key role in determining the aerodynamics and aerothermodynamics of the Apollo entry vehicle used to return astronauts safely from the Moon. Shortly after President Kennedy told the nation we would put a man on the Moon and bring him home safely within the decade, Seiff assembled a group of young people from across the nation to contribute to this goal. Under his leadership, the team made key contributions toward defining the aerodynamics and aerothermodynamics of the Apollo Earth return vehicle. Later in his career, Seiff pursued his goal of inverting the entry physics “problem” into the “solution” of using the response of an entry probe to determine the structure and composition of an unknown planetary atmosphere. This powerful concept was proven with the Planetary Atmospheric Entry Test (PAET) project, which demonstrated that inversion of the entry physics problem could be done in the Earth’s atmosphere. Seiff was the principal investigator on experiments which utilized the entry probe-based approach he pioneered to determine the structure of the atmospheres of Mars (Viking), Venus (Pioneer-Venus), and Jupiter (Galileo). Seiff’s work on planetary atmospheres is broadly published in scientific literature and textbooks. He is broadly recognized for his contributions, both nationally and internationally. He won the NASA Medal for Exceptional Scientific Achievement three times and was awarded the honour of the Dryden Lectureship by the American Institute of Aeronautics and Astronautics for his work on planetary atmospheres. Perhaps as important as his contributions to NASA’s goals in science and engineering was the product of his leadership: coaching and mentoring. Scores of young engineers and scientists who worked for and with Seiff became world-class researchers, leaders, and managers for NASA and the Department of Defense, including an Ames centre director, organizational directors, division chiefs, and branch chiefs. Seiff embodied the best of what is expected from a leader and exemplified the saying “give more than you take from the circle of life.” He truly “soared to the stars,” literally touching three planets with his experiments. Seiff gave his best to the international planetary science community. Alvin Seiff passed away in 2000, but his inspiration continues. Alvin Seiff was selected in the fall of 2008 to become a member of NASA Ames Hall of Fame, joining the likes of H. Julian Allen (Blunt Body Concept) and Jim Pollack (Planetary Science). This is considered to be a high honour, with only 21 inductees. The purpose of NASA Ames Hall of Fame is to recognize those whose contributions have had the most sustained and far-reaching influence on the direction and mission of NASA, and/or whose work at NASA Ames has generated fundamental advancements in either a scientific or engineering field. The young researchers today will stand on the shoulders of the giants from the past to discover great things in the future. An important element of the International Planetary Probe Workshops is to introduce, motivate and educate young people in the field of scientific studies of planetary atmospheres. Only by placing today’s research activities in the proper historical context through recognizing, appreciating, and understanding the contributions of our predecessors and utilizing the experience and knowledge gained by past generations of explorers can we define a framework for future explorations. As solar system explorers, we are bound by our colleagues’ achievements and are obligated to further this chain of scientific discovery to the next generation. This award and lecture is named for Seiff to celebrate his lifetime of dedication to the engineering, technology, and scientific studies of planetary atmospheres or atmospheric flight, and to provide young researchers who never had the chance to know him with the opportunity to learn how his work truly influences virtually every aspect of planetary exploration. Sushil K. Atreya, Professor of Climate and Space Sciences and Engineering & Director, Planetary Science Laboratory, University of Michigan. The Award will be presented to Professor Atreya at IPPW-2019. Anyone may nominate an exceptional candidate for this award. The nominations process consists of filling out the form, which can be downloaded here, preparing a letter of nomination including details of significant career contributions to the understanding of planetary atmospheres utilizing entry/descent probes, and at least one additional letter of support. Other supporting materials are encouraged but not required, including additional letters of support, bibliography, abstracts of up to three papers by the nominee, and curriculum vitae. In recognition of his exemplary contributions as a Scientist and visionary in conceiving novel mission concepts, his perseverance in ensuring that his visions became reality by mentoring and leading the community of scientist, engineers, mission designers and instrument developers around the world is an enduring tribute to his legacy, and critical contributions not only to every Mars Orbiter and Lander that Lockheed Martin build and delivered, but also to sample return missions beginning with Stardust and continuing with OSIRIS-REx. In recognition of his exemplary contributions in atmospheric entry technology development, his work, through personal research and as a teacher, in the field of aerothermodynamics, has resulted in worldwide capabilities to predict entry environments and design vehicles for both robotic and human missions. Rob Manning has been deeply involved in in the technical design of nearly every US Mars mission that has occurred during the Mars Renaissance of the past 20 years. Rob’s first foray into the world of interplanetary missions came in 1993 when he was appointed Chief Engineer for Mars Pathfinder and subsequently volunteered to lead Pathfinder’s Entry Descent and Landing (EDL) team. From then on, Rob’s career has followed the trajectory of the successful Mars program. Mars EDL problems are intense and demand a good team with a diverse set of disciplines and human talent; Rob’s skill and team leadership have been well imprinted on NASA’s Mars Exploration program. In recognition of his outstanding contributions to our understanding of planetary atmospheres and cloud structure, including service as the Principal Investigator for the Pioneer Venus and Galileo Nephelometers, the co-PI, with former Al Seiff award winner Jaques Blamont, of the VEGA Nephelometer, as well as significant mentoring and teaching of the next generation, including positions at Stanford and the University of California extension system. In recognition of his outstanding contributions to solar system exploration, including service as the Chief Engineer for Galileo, Director of Science Analysis and Mission Planning for Viking, engineering oversight of multiple missions including MER, Stardust and MSL, and significant mentoring and public outreach that has grown the planetary science and space technology community. In recognition of his 51 years of accomplishments in planetary entry, including pioneering work on shock layer radiation physics, reentry aerothermodynamics, and thermal protection systems, his leadership of NASA Ames high enthalpy facilities and entry system technologies, and his mentorship of countless young engineers. In recognition of his exemplary and unique contributions to planetary exploration, including taking the first direct measurements of the atmospheric pressures of Mars and Venus. Dr. Marov served as the PI or Co-PI of 15 different planetary probe instruments over a span of ore than 30 years, and was the project scientist for 8 generations of Mars and Venus landers. In recognition of his extraordinary and ongoing contributions to the field of planetary entry, descent and landing (EDL), including teaching a new generation of EDL system engineers, serving as the first NASA Chief Technologist in over a decade, and his leadership and engineering knowledge that have contributed greatly to all NASA Mars surface missions from Pathfinder to MSL. In recognition of his extraordinary contributions to the field of space exploration, including being a co-founder of the IPPW series, mentoring younger researchers and especially for his leadership that led to the spectacular success of the Cassini-Huygens probe mission to Titan, the IOC of the IPPW bestows the 2011 Alvin Seiff award upon Dr. Jean-Pierre Lebreton. In recognition of seminal contributions to the development of instrumentation for in situ studies of planetary atmospheres, including the Venus atmosphere from the Pioneer multiprobe mission, the Jupiter atmosphere from the Galileo probe, and the Titan atmosphere from the Huygens probe, and for career achievements in the understanding of the composition, cloud structure, and heat balance of planetary atmospheres throughout the solar system, the IOC of International Planetary Probe workshop bestows the 2010 Alvin Seiff award upon Dr. Martin Tomasko. In recognition of his contributions over the past fifty years as an Entry System Engineer, as a teacher and in developing concepts and successfully leading thermal protection systems (TPS) and entry system design of such missions as Galileo and Mars Pathfinder, the IOC of the International Planetary Probe Workshop bestows the 2010 Alvin Seiff award upon Mr. Michael E. Tauber. In recognition of his contributions to the Pioneer-Venus and Vega Missions, the development of nephelometry and balloon technologies for atmospheric exploration, for decades of landmark scientific achievements and for his key contributions to establishing a European presence in modern solar system exploration. 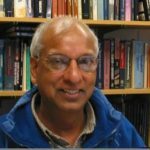 In recognition of his contributions to the advancement of mass spectrometry technologies and the development and use of the techniques of gas chromatography and mass spectrometry to solar system exploration spanning the missions from PAET to Huygens.